Perfect Picnic Provisions! 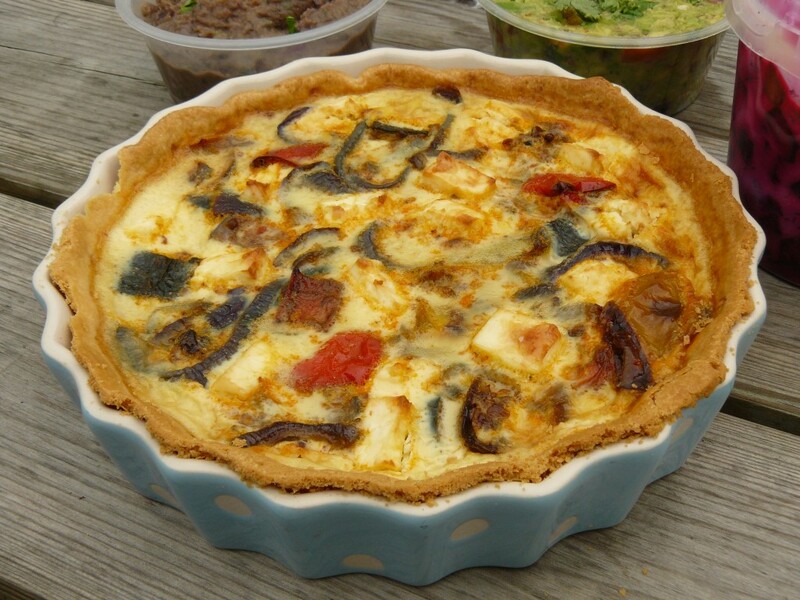 Quiche is robust enough to cart about anywhere, and the ras el hanout adds an edge to make it an elegant addition to a spread. We made this to have after the Castle Howard 10K, knowing that the protein in the eggs and pastry would be fantastic for our recovery. I’d imagine that if it weren’t accompanied by an electrolyte drink, it might taste rather nice with a glass of red wine. Once you’ve got ras el hanout in the house, I’d highly recommend making my ras el hanout tofu steaks. And, this recipe leaves a little pastry left over, so we had veggie pigs in blankets for tea the following day. I think this is the most impressive post-race food I’ve had in a while. Beats a banana scarfed down in a field. What did you eat after your last race? 1. Roll out your pastry and line your quiche dish with it. Cut a circle of greaseproof paper the same size as the bottom of your dish and place in the bottom. Cover the paper with either baking beads or dried pulses (Like a cartoon veggie hippie, I ended up using mung beans) and bake blind for 20 minutes. Take it out of the oven and remove the paper and beans and bake for a further 5 minutes if necessary to get the bottom thoroughly cooked. Nooo soggy bottoms here. 2. At the same time, chop up your courgette and peppers to bite-sized pieces and toss with the ras el hanout and 3 tbsp olive oil. Bake for around 25 minutes, keeping an eye to make sure they don’t catch. 4. Layer the roasted veg and caramelised onions into the pastry case. Beat the eggs and milk in a measuring jug and pour over. Break your feta into small chunks and scatter over. Bake in the oven for 25-30 minutes.